During the financial crisis of 2008, widely considered one of the worst since the Great Depression, considerable financial pressure was put on everyone in technology, including market leaders in the software as a service space. 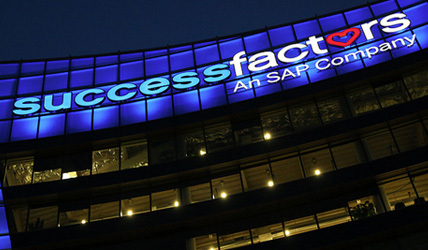 Against the backdrop of these tough market conditions, SuccessFactors faced a critical challenge. Strong competition in the Talent Management space signaled increasingly challenging renewals and for the first time, half of the company’s revenue would come from existing customers. To stay ahead of the curve and maintain what had, to that point, been strong customer retention, SuccessFactors doubled down on the investment in our customers to proactively ensure renewal by driving customer value. The Customer Value Team was born. Over the course of our 8+ years together at SuccessFactors, Mark Bissell and I worked closely on a number of challenging projects. Mark originally hired me at SuccessFactors in his role as Director, Professional Services. A fantastic mentor, Mark and I worked closely to implement the largest software-as-a-service projects ever (at the time), engage with new and key strategic partners on international deals and partner with Product Management on complex new product initiatives all while growing the Professional Services operating model. After a few years growing this team Mark moved to a new role in the company and I joined the Business Transformation Services team to lead strategic consulting projects with Steve Hunt and Jessica Kane. In this role I also led the development of the SuccessFactors Premium Analytics business with Doris Wong. For a few years Mark and I worked our parallel paths in the organization occasionally overlapping when we were called back in to solve an especially complex customer challenge. Mark liked to call this a “diving catch” and over time we got really good at it. As the financial crisis took its toll on the technology market we started to operationalize the “diving catch” and formed the Customer Value function at SuccessFactors in 2009. Mark, Deidre Schmidt and I started proactively engaging with the largest and most strategic accounts that were at risk a year before their renewal. We created opportunities and processes for engagement like our Customer Value Workshop to engage with customers and conduct a health assessment to flush out and solve any issues. We created a process, appropriately called “Surge”, by which we would request support from our partners in Professional Services to re-engage with customers to re-implement or re-train the customer, often at no cost. We also created the “At Risk” process which proved highly effective in engaging cross functional teams to solve critical customer problems. I describe the At Risk process a bit more here. After a year, the results of the new Customer Value function were clear. We had protected more than $10m in “At Risk” renewal revenue, set more than a dozen strategic accounts up for expansion and created a process for the entire organization to gain better visibility into the health and needs of our rapidly evolving customer base. And with success came investment. In year two of the Customer Value team, Lars Dalgaard and Jay Larson agreed that instead of merely protecting strategic accounts in year 3 we would invest in proactive customer success in year 2+ and expand our engagement beyond the Top 50 and critically at risk accounts to the entire Enterprise customer base. Our team of three driving diving catches became a team of 30+ in the US, EMEA and APAC, proactively digging in to drive customer success, solve problems in the early stages and drive adoption and renewals. The team continued to grow well beyond 100 after Mark and I left SuccessFactors in January of 2013. As the Customer Value Team evolved from diving catch to proactive customer success management, we learned a few things that proved critical to achieving success. Customer focus and follow through are more important than being able to say yes to every customer request. Customer Success is not about giving the customer everything that they ask for, rather it is giving them a forum to be heard, having their requests thoughtfully validated and ensuring follow through. The Customer Success Platform is a critical component of understanding what is happening with the customer base. At SuccessFactors we had the benefit of Jeff Ulrich and Ron Stainbrook developing “SuccessCentral”, a precursor to today’s Gainsight or ClientSuccess. The insights into such metrics as product adoption, support utilization and Customer Value manager health flags proved invaluable in understanding how to get ahead of the issues. Customers want to know what they don’t know. They want to know what others are doing to drive success and learn about relevant benchmarks. They want to be successful-- not difficult, not impatient, not custom-- just successful. Providing customers access to product experts who provided both thought leadership and subject matter expertise proved to be an essential tool in our get well plans. Customer Success may be the driver of the customer journey post implementation but the CSM can’t drive success alone. Our close partnerships with Product Management, Professional Services, Support and Sales were absolutely critical in delivering a comprehensive customer experience. Support and investment in the function at the executive level was critical to helping us get out of fire fighting mode and into fire prevention and proactive management. Foundational processes like Quarterly Business Reviews, Annual Customer Value Workshops, and Health Assessments are all important tools to managing success at scale but individual account success is ultimately driven by getting into the details with the customer. There are no short cuts to untangling broken processes, re-earning trust after a product failure or consistently earning on-going business in a dynamic market. The Customer Value and Success Team at SuccessFactors was founded on solving a critical business issue: unhappy customers typically don’t renew. In the middle of a financial crisis and in a highly competitive market this business challenge takes on increasing importance. Customers that don’t derive the full and promised value from your software in a SaaS enabled world can easily replace you. The best approach, regardless of financial crisis, is proactively driving customer value.